Enter to win a three day, two night getaway to the Town of Rome. 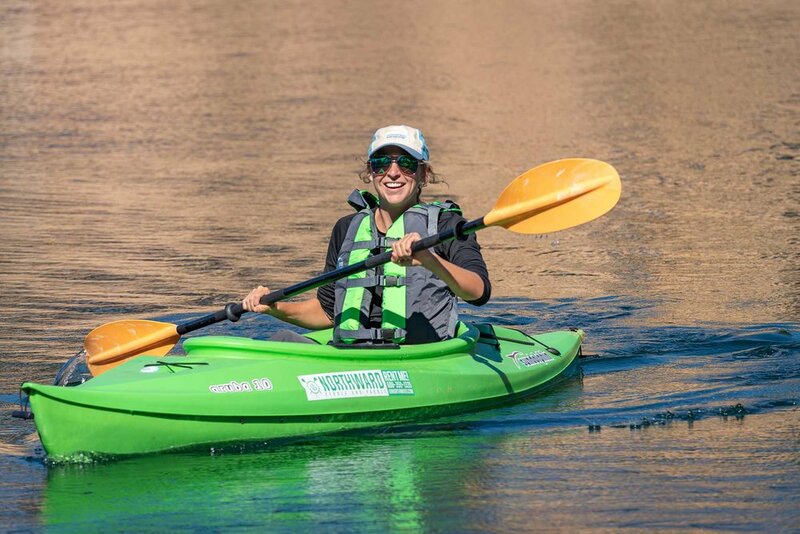 Centrally-located and a recreational haven for all seasons. Sweepstakes runs from February 8, 2019 - April 8, 2019. *Only one (1) entry per person per email address per day will be accepted during the Sweepstakes. 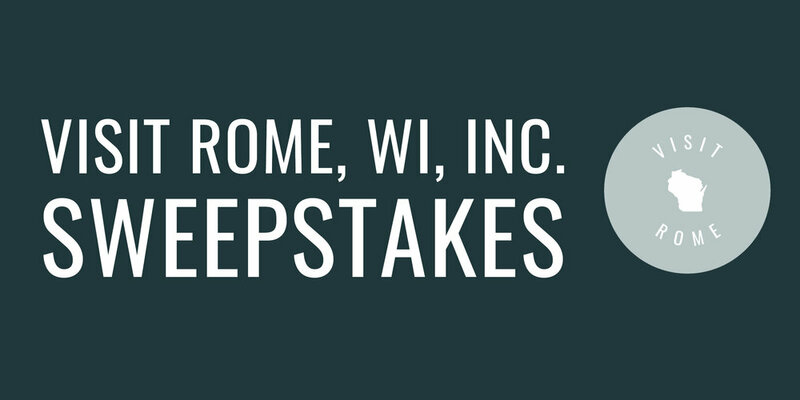 Visit us tomorrow for another chance to win the Visit Rome, WI Sweepstakes. 1. SWEEPSTAKES DESCRIPTION: The Visit Rome, WI Sweepstakes is sponsored by Visit Rome, WI, Inc.
2. ELIGIBILITY: The Sweepstakes is open to individual persons who are at least 21 years old at the time of entry and who are legal residents of the United States & reside 60 miles of more outside of the Town of Rome. 3. SWEEPSTAKES PERIOD: The entry period for the Sweepstakes begins Friday, February 8, 2019 and ends Monday, April 8, 2019 @ 11:59 p.m. (the “Sweepstakes Period”). HOW TO ENTER: To enter the Sweepstakes, go to https://www.visitromewi.com/ and follow the online instructions to access the entry form. A complete entry consists of: first name, last name, email address, and zip code. Incomplete entries are void. Only one (1) entry per person per email address per day will be accepted during the Sweepstakes - a “day” is defined as any time period during the Sweepstakes beginning each day at 12:00 a.m. CT and ending each day at 11:59 p.m. CT.
4. SELECTION OF PRIZE WINNER: On Friday, April 12, 2019, one (1) potential Grand prize winner will be randomly selected from among all eligible entries received during the Sweepstakes Period. In order to be declared a winner by the Sponsor, the potential winner must be in compliance with these Official Rules. A representative of the Sponsor must be able to reach the potential winner independently by email informing him/her that he/she is the potential winner subject to complying with the Official Rules. The potential winner is required to respond to the email notification within a forty-eight (48) hour period of the sending of the email. If the potential winner is unreachable during this timeframe, he/she forfeits his/her Prize and another potential winner shall be selected from the remaining eligible entries and the same procedure shall be followed as noted in these Official Rules. Return of email prize notification as undeliverable may result in disqualification and an alternate potential winner may be drawn. The Prize is only redeemable on or before October 27, 2019, and in the event that the winner cannot attend prior to this date, the winner forfeits the Prize and any expenses in connection therewith are the sole responsibility of the winner. If a potential winner is not in compliance with these Official Rules, the Sponsor reserves the right to disqualify such Entrant from the Sweepstakes and randomly select further Entrant(s) from the remaining eligible entries until a winner is finally declared. 5. ODDS OF WINNING: Odds of winning the Prize depend on the number of eligible entries received during the Sweepstakes Period. Prize not specifically mentioned above.